David Marion concentrates his practice in business litigation, antitrust and securities class actions, professional liability and communications law and alternate dispute resolution. David acts as both plaintiffs and defense counsel in litigation involving ERISA, securities, Civil Rights Act Violations, RICO actions and class actions. David has achieved numerous noteworthy victories throughout his career including substantial jury verdicts before federal and state courts, the defense of a major public utility in a precedent-setting federal ERISA class action and victories in the U.S. Supreme Court and state and federal appellate courts. He was appointed by the U.S. District Court as Receiver in a Securities and Exchange Commission civil action involving a Ponzi scheme, and as special master in complex federal cases. 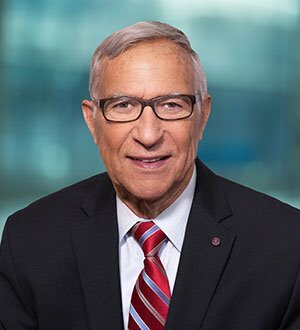 David is a former Chancellor of the Philadelphia Bar Association and former President of the Philadelphia Lawyers Club, is the National Chancellor of the Tau Epsilon Rho Law Society and serves on the Anti-Defamation League Board of Directors. He was elected as a fellow of the American College of Trial Lawyers, the International Academy of Trial Lawyers and the American Academy of Appellate Lawyers, and holds leadership positions in several non-profit organizations. David was the recipient of the 2013 Learned Hand Award from the American Jewish Committee. He has been listed in Chambers USA as a leading lawyer in commercial litigation since the honor's inception in 2003. Since 2004, David has been selected in a survey of his peers as a Pennsylvania "Super Lawyer" by Super Lawyers magazine. He is uniquely listed by Best Lawyers in America in six categories of law practice.